Teena and I saw The Martian with Matt Damon at the theatre. Excellent movie! Really loved it. 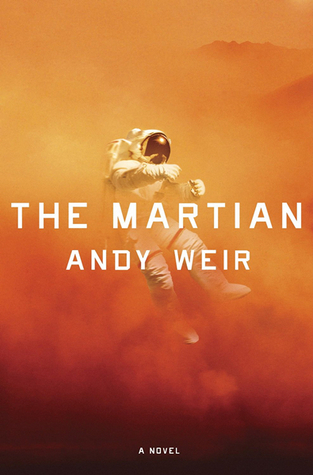 I heard The Martian was just as good in book form so I had to give it a read. As he overcomes one seemingly insurmountable obstacle after the next, Mark begins to let himself believe he might make it off the planet alive – but Mars has plenty of surprises in store for him yet. 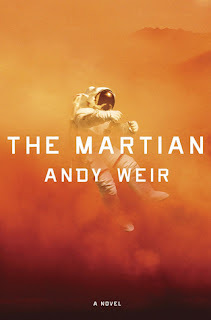 Grounded in real, present-day science from the first page to the last, yet propelled by a brilliantly ingenious plot that surprises the reader again and again, The Martian is a truly remarkable thriller: an impossible-to-put-down suspense novel that manages to read like a real-life survival tale. The book is fabulous and exciting. Mark Watney has the same sense of humour in the book as he does in the movie. It's necessary too for two reasons. First, it likely would have made for a fairly boring read, plus for somebody to survive all alone with little hope would require somebody that can look at things with some humour, and humour keeps hope alive. Turns out there were some scenes left out of the movie that were in the book. In the book, Watney is telling his story through journals. In the movie, he is talking to a monitor, plus you get to see what is happening. The book is mostly his journal. So if you're asking if you should see the movie first, then read the book or vice versa, it doesn't really matter. You can do it either way as one totally compliments the other. This is a thrilling and fun read. Now that I've read the book, I'm looking forward to seeing the movie again.